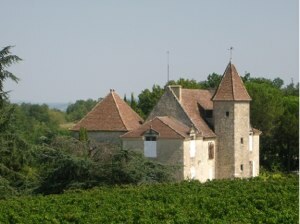 Fortified castle from the XV and XVII centuries, located on the Dordogne river hillside over looking Saint Emilion surrounded by a vineyard of 30 hectares AOC BORDEAUX RED. After the one hundred years war ended in 1453 with the battle of Castillon, Aquitaine became definitively part of French kingdom under Charles VII. 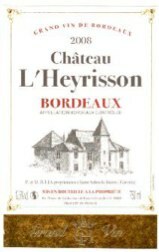 Château l’Heyrisson remain an authentic religion war time testimony, everything here is organised to lay an ambush or hold out against an assault. 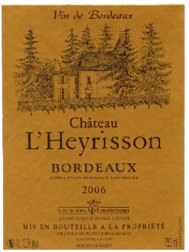 Located on the upper point of the district, surrounded by vineyards, Château l’Heyrisson, remains the old XV century manor. 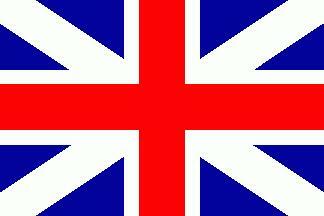 Most of the architectural basic principle of Middle age and Renaissance are safeguarded. Since eight generation on our mother’s side, our family is leaving in this village, at the end of the XVII th century, around 1695, we found records of my ancestor Jean THIBEAUD. 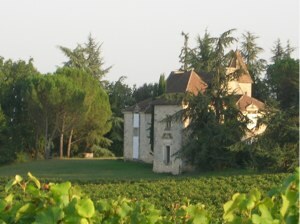 “MAISON NOBLE” circa 1480 with an exceptional architecture, on the hillside of Dordogne river, facing SAINT EMILION. 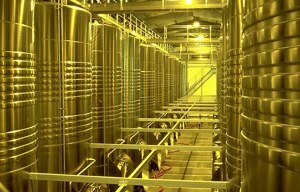 Located on top of the hillside, the southern slope of the vineyard has outstanding sun exposure. 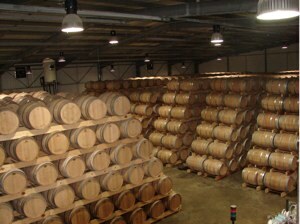 The wine sink deep into the clay limestone soil, which is so important for the wine’s bouquet. 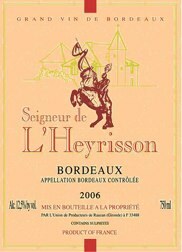 L’HEYRISSON is powerful, elegant, deep coloured and has a wonderful fruity bouquet.